You’ve now reached the third and last part of our Everything You Need to Know for Kingdom Hearts III series! Congrats, you’ve worked hard on reading and digesting all the information we’ve thrown your way. We wish you good luck for this last part because it radically transforms everything you thought you knew of the series! Yes, you’re very excited, we can tell, so let’s dive right into it. Maybe we can finally get through all this before the game comes out in, like, ten hours. The original DS game was ported to a cinematic remake of its events for Kingdom Hearts HD 2.5 Remix that’s almost three hours long. It’s arguably the weakest entry in the series, but it forms the bridge between Kingdom Hearts II and Kingdom Hearts III, so it’s vital to know what happens in this game. After Kingdom Hearts II, Jiminy Cricket returns to Disney Castle to organize his journals, which he uses to write down the events of Sora’s adventures. While one journal is intact, the other only has a single line that says, “Thank Namine.” As he shifts through empty pages, he notices the last page in the book says, “Their hurting will be mended when you return to end it.” Perplexed, Jiminy brings the journal to King Mickey, who digitizes the journal with a machine to unearth the original content. Upon digitizing it, Mickey and his pals/advisors realize the data of the worlds inside the journal are corrupted, so they can’t analyze the message. Mickey gets Sora to digitally go into the journal to explore the data from the inside and figure out what’s wrong. By killing “bugs” in the datascape, Data-Sora can restore the worlds back to how they were supposed to be. This is Kingdom Hearts: Sora Becomes a Game Developer, obviously. Throughout this process, Mickey and co. witness Data-Sora following a cloaked figure. Data-Sora destroys more bugs across different worlds; every time he fixes a world, new lines in the journal to Mickey and the crew are revealed in the real world. After a while, Data-Sora chases after the cloaked figure and goes into a portal that leads him to Mickey’s office in Disney Castle. The cloaked figure is actually a data version of Riku, who then appears in the room and explains that, when memories in the journal were stitched back together, bugs appeared in the data, preventing the journal from being completely restored. Data-Riku is a vessel that protects the full set of memories and data; he’s essentially Jiminy’s journal. He also reveals that he imported everyone into the datascape to help restore the journal…so this has been the datascape the entire time. They set out to keep trying to repair the journal by delving into Data-Riku. Among the people Data-Sora runs into are real world Maleficent and Pete. It’s important to note that Maleficent has figured out how to travel into the datascape, and you’ll know why in the near future (in other words, later in this article). Data-Sora eventually defeats Maleficent and Pete and sends them back to the real world, saving them from becoming trapped in the datascape. Later on, the journal is restored, though Data-Riku reveals to Mickey that a new world has been discovered—a world that was added after the data was restored. Even though Data-Sora was restored in the process of the journal’s completion, Mickey calls back Data-Sora, who now has no memory of past events, back into the datascape to learn what’s happening. The two arrive at Castle Oblivion. Here, Data-Sora meets a cloaked figure that is later known to be Data-Roxas. Data-Sora tells Data-Roxas that he’s feeling an intense hurt in his heart; this hurt is from those he once met but has now forgotten. Data-Sora chases after him throughout the castle and eventually the two engage in battle because Data-Roxas wants to make Sora know what real hurt feels like, as someone who isn’t remembered. Knowing he can’t win against Sora’s optimism in the face of the hurt he feels inside him, Data-Roxas goes back into Data-Sora. Finally, Data-Sora and Mickey reach Data-Namine at the heart of Castle Oblivion. She reveals she set everything up so that the hold on the extra memories deep inside of Data-Sora’s heart remained. These memories were lost at the end of Chain of Memories and belong to people he has unique bonds with, even if he may not personally know them yet. She wrote the journal message and created the bugs to encourage everyone to dig deep and find out the truth. It was also to harden Sora’s heart, because once she fulfilled this task, the pain of the memories she will give him are so great they could break his heart if it isn’t strong enough. But it is now. Data-Sora has learned that, although some hurt can be overcome, life will always bring pain—the only way to deal with it is to “face it head on and then you accept it, and if it happens that the hurt is too great for you to bear alone, well, then you turn to a friend close to your heart.” That’s not necessary to this lore recap, but it’s a lovely message and an important thought to carry with you, reader. Data-Sora unlocks the memories in the depths of Sora’s heart, which means he knows of all the connections between Roxas, Xion and Axel; the events of 358/2 Days; Aqua, Ventus and Terra; and the events of Birth by Sleep. They exit the datascape and King Mickey proceeds to write the note in the bottle that Kairi shows Sora at the end of Kingdom Hearts 2, telling Sora that he is the key to everything. The time has come for him to mend the hurt of all the people connected to him. In the game’s secret movie, King Mickey tells Yen Sid he’s close to figuring out where Ven’s heart is. Yen Sid tells Mickey that Xehanort isn’t gone; Sora defeated Ansem, Seeker of Darkness (Xehanort’s Heartless) and Xemnas (Xehanort’s Nobody). As a result of their demise, the two parts have joined together, making Master Xehanort reconstructed whole and free. Yen Sid also drops the bomb that Sora and Riku need to take the Mark of Mastery exam to become true Keyblade Masters, for there is more than one Xehanort. 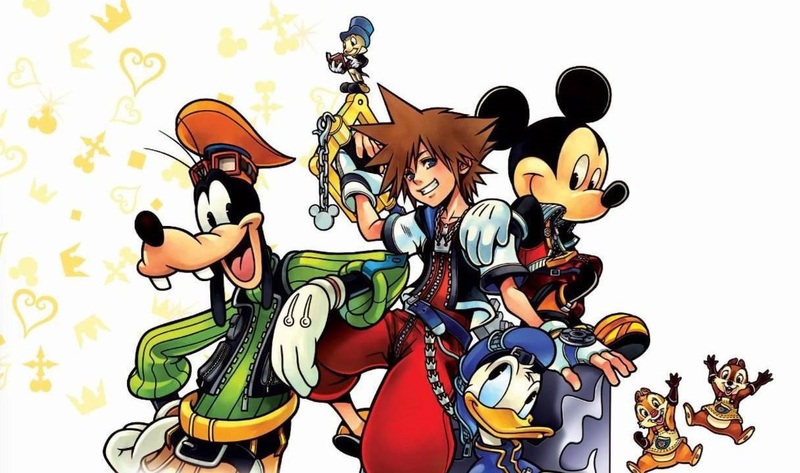 Dream Drop Distance starts right after the secret ending of Re: Coded, with Yen Sid calling Sora and Riku to his tower and informing them they must take the Mark of Mastery exam. They also need the people King Mickey mentioned in his letter; in order to release them from sorrow (my girl Aqua has been in the darkness for over a decade) and slumber (Ven has taken the world’s longest nap), they must find and unlock seven Sleeping Keyholes that contain a great power. These Sleeping Keyholes are in worlds that have been “asleep,” essentially cut off from all outside channels and even from the Heartless, ever since the worlds were walled off from each other after the Keyblade War. These “Sleeping Worlds” have special enemies called “Dream Eaters.” There are two kinds: Nightmares that devour happy dreams and Spirits that devour the Nightmares. If you ever play this game at all, know that the best part is getting your own Spirits to pet, feed and play with. DDD is honestly a better Pokemon or Nintendogs simulator than a Kingdom Hearts game, but I digress. Yen Sid basically gives Sora and Riku our summary of Back Cover, and sends them back in time to the destruction of Destiny Islands (in other words, right before it became a Sleeping World) so that they can access other Sleeping Worlds and do their exams. Throughout their respective journeys, they run into a mysterious young man in Organization XIII robes who possesses the recognizable “Xehanort” yellow eyes and silver hair. He’s sometimes accompanied by Xemnas and/or Xehanort and says mysterious lines that don’t amount to anything significant—as does the entire game until around the last three hours, so we’re skipping to that. After hours of dropping in and out of Sleeping Worlds and much petting of Spirits, Sora arrives at The World That Never Was, wondering why he isn’t awake in the real world yet since he already found the seven Sleeping Keyholes. Xigbar shows up and explains that “they” brought Sora there, and were guiding Sora since before the test started. The young Xehanort-looking man (who we will now call Young Xehanort) soon shows up and beckons Sora to come with him. He forces Sora into a deep slumber. Now things are going to get…more complicated, if you thought that was possible. A lot more complicated, actually, since this is arguably the entry that shakes up the series the most. Young Xehanort explains that the time travel Sora and Riku did to right before Destiny Islands was destroyed was able to happen because a past version of Sora already existed there. Time travel in Kingdom Hearts has been previously hinted at, but now it’s solidly confirmed. He confirms that Ansem (Seeker of Darkness) was actually the robed, hunched figure that Sora and Riku saw at different points in the first game. Ansem, in these robes, had approached a young Xehanort who lived on Destiny Islands—and who was unaware that he was communicating with one of his future selves. This would be part of Master Xehanort’s goal to ensure Sora would get to where he is in this moment. After, Sora proceeds to dive through different dreams. He sees illusions of Donald, Mickey and Goofy, and runs after them. He sees Namine, and reaches out to finally tell her thank you—only to see her shift into Xion, who he doesn’t know or fully remember. And yet, since Roxas is inside him, he begins crying while looking at her, wondering why she brings so much sorrow from him. He sees Roxas, and is able to tell him that he deserves to be his own person before Roxas gives Sora his memories. Sora sees Riku and Kairi, who then turn into illusions of Terra and Aqua while Sora himself turns into an illusion of Ven. Through this dream, Sora realizes that Axel, Roxas, Namine and Xion have hearts. When he reaches Xigbar and interrogates him about it, Xemnas appears to confirm Sora’s realization. All the members in Organization XIII have had hearts this whole time. Xigbar informs Sora that Xemnas and Xehanort formed the Organization with a specific reason in mind: To make every member a vessel for Xehanort from 13 different points in time. Young Xehanort, Xemnas and Xigbar only needed to guide Sora to them, in the deepest sleep possible, for them to make him the thirteenth and final vessel. Throughout DDD, Sora has had a subtle X on the front of his shirt; this is revealed to be the Recusant’s Sigil, used by Xehanort to track Sora’s every movement. This is also why every Organization member has an X in their name—it isn’t because Xemnas is edgy. He wanted to have them on a leash so that they were ready for when the time came. So, yeah, Nomura actually did plan this series out. After a few battles to wear him down, Sora is taken to the Organization’s conference room and his heart is plunged into the darkness; however, his heart is saved because of Ventus, whose heart is still inside Sora. Ventus’s heart covers Sora with Ven’s armor, which is meant to protect its wearer from the darkness. Ansem (Seeker of Darkness) communicates with Riku elsewhere and reveals that, this entire time, Riku has been diving into Sora’s dreams as a Dream Eater to protect Sora from Nightmares. Riku defeats Ansem and fights his way to Sora, where Young Xehanort explains everything to Riku. Young Xehanort’s future self had given him the task of visiting the splintered versions of himself throughout various worlds to ensure all thirteen vessels would gather there at that moment. 1. You must leave your body behind to do it. 2. A version of you must be waiting at the destination. 3. Upon arrival, you can only move forward. You cannot rewrite events destined to happen. Once Master Xehanort arrives, all the vessels will go back to their respective eras to live out their lives, ensuring the future to turn out this way. King Mickey disrupts his speech by casting a Stop spell, and Mickey, Riku and Young Xehanort engage in battle. After they defeat Young Xehanort, Master Xehanort finally appears. It’s important to remember that, when the X-blade split, it shattered into seven pieces of light and 13 pieces of darkness. Master Xehanort had tasked Maleficent with finding the seven princesses of light; meanwhile, he prepared 13 vessels to fill with darkness—the vessels he has now acquired. Thus, he’s succeeded in gathering the fated 13 seekers of darkness. As Master Xehanort sends a fragment of his heart to enter Sora’s body, Axel appears and interrupts the process. Well, actually, he’s not Axel—he’s Lea. Remember that, near the end of Kingdom Hearts II, Axel sacrificed himself to let Sora reach The World That Never Was. As a result, his body and soul reunited with his heart, and Lea was revived. Battle breaks out once Donald and Goofy join the fray, so Master Xehanort retreats with his Organization and vows revenge in typical villain fashion. Lea and everyone else return to Yen Sid’s tower with Sora’s comatose body in tow. Riku is able to bring Sora back by diving into his heart (which isn’t hard for him since he’s been diving into his dreams this entire time). Before he leaves Sora’s heart, he meets a digitized Ansem the Wise, who explains that the real Ansem the Wise had digitized himself and his research at the end of Kingdom Hearts II and stored it inside Sora’s heart. Riku wakes up in the real world and everyone is celebrating Sora’s awakening. Yen Sid announces that, while both deserve the honor, Riku passed the test because he braved the realm of sleep to unlock the final keyhole and save a friend. Lea has announced that he wants to become a Keyblade Master as well, and then proceeds to stun everyone in the room by summoning his own keyblade. Going into Kingdom Hearts III, what Master Xehanort did to Sora has caused him to forget many of his abilities, so he’ll have to spend some time relearning them in order to become a Keyblade Master. Yen Sid later informs Mickey that they’re missing one guardian of light, for the seven guardians of light are the only way to protect the seven pure hearts, whose light is the source of all the light in the world. Whether they decide to find the lights or try to avoid them and subsequently avoid the Keyblade War, it is inevitable, so it’s best to prepare. Riku returns at that moment with a “guest” Yen Sid asked him to bring—Kairi, who gained the ability to wield a keyblade in Kingdom Hearts II. Rejoice—she’s going to finally do things in Kingdom Hearts III! I’m sorry if you thought this was over. So, there is some confusion in regards to what Union X [Cross] really is. It starts with what was Kingdom Hearts X [Chi], a browser game that was only playable in Japan. After three years of story updates, the game shut down and was rebooted as Kingdom Hearts X [Unchained] with additional content. 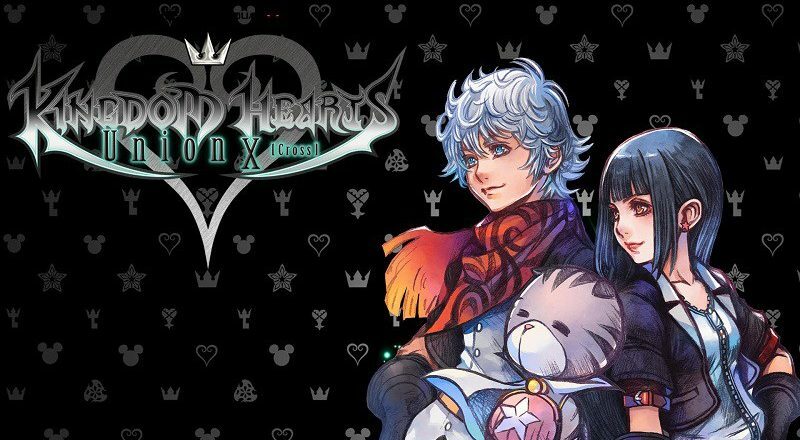 Kingdom Hearts Union X [Cross] is the reboot of Unchained; it was a significant update and still has an undergoing story that will influence not just Kingdom Hearts III, but also the games to come. Back Cover covers the events of Union X up to a certain point and from a different perspective, so everything included in our summary of Back Cover holds true. Let’s pick this up from when right before the Keyblade War happens. Ava has been searching for Luxu, who was fulfilling his role by standing on a hill, overlooking Daybreak Town. The two engage in battle after Luxu tells her that the end of the world is inevitable, and the powerful clash of their keyblade sends out a ripple that causes the bell at the bell tower of Daybreak Town to ring, signaling the the start of the war. Before the war happened, there was a girl named Strelitzia. She was one of Ava’s Dandelions, and was later chosen by Ava to be one of five special Dandelions who would become the new Foretellers after the end of the war. Strelitzia was secretly fascinated with the player character, sensing something special inside of them and wishing for the two to become friends. Upon her meeting with Ava in which she’s told the fate of the world, she realizes that the player character isn’t a Dandelion, and resolves to tell them about the impending end of the world. The next day, she and her Chirithy learn that your player character was last seen at an abandoned house; when she goes to it, she is unable to find you. As she turns around to leave, someone from the shadows attacks Strelitzia and her Chirithy. They steal Strelitzia’s rulebook, which Ava gave her as a guide for what to do when she’d become a Foreteller, and leave her to die. Strelitzia hugs her Chirithy and is unable to make it out of the abandoned house before her heart is released into the sky and her body disappears. After the war, a boy named Ephemer and a friend of his named Skuld reunite at the keyblade graveyard. They find out they are two of the five new Foretellers. The third Foreteller arrives—and it’s Ventus. Yes, Birth by Sleep Ventus. Even though it’s at least a hundred years before the events of Birth by Sleep. We don’t know if we’ll find out why he’s here in Kingdom Hearts III. Just casually accept it for now! Then, the fourth, a dude named Brain (but he wears an ugly fedora, so it’s dubious, really) arrives. The last member arrives after a lengthy amount of time—Lauriam, the “somebody” of Marluxia, one of the members of Organization XIII. We don’t know what to say about this either, other than the fact that Lauriam is later revealed to be Strelitzia’s brother when he speaks to Elrena—Larxene’s somebody—and asks her to help him find out what happened to his sister. If you’re worried about where the player character went…well. They’ve joined the Dandelions, but in an alternate world. See, in the original Kingdom Hearts X [chi], the Foretellers used the Book of Prophecies to conjure up illusions/projections of worlds of the future. These are the Disney worlds you play through in the game. In these projected worlds, the Keyblade wielders are to destroy Heartless (which are also conjured up projections from the future) in order to gather Lux (light) from the future. Since The Master of Masters and Luxu both disappeared and the Foretellers died in the Keyblade War, there is no one to conjure up the illusory worlds of the future any more. So, the Master of Masters created data versions of the worlds in advance. The worlds that the Dandelions are going to in this alternate Unchained realm are these data worlds. They and all the other Dandelions that were transported to this world had their memories of the war erased, and are reliving all the events before the Keyblade War—except that the war won’t happen here. The player character, however, does experience recurring nightmares about their previous life—nightmares which the player character’s Chirithy is secretly telling Ephemer and Skuld about. Ephemer and Skuld have tasked Chirithy with ensuring the player character participates in Union Cross. This reboot of the last two games allows you to play with friends to finish missions, and this mechanic is actually a plot point. In this series, a heart is a powerful thing in which experiences and memories are forever etched upon, even if the person’s mind forgets it. By forming fun and happy memories with friends on missions, the player character and those around them are able to further bury down memories of the Keyblade War and the events that led up to it. The five new Foretellers gather to discuss their plans. It’s important to note that one of the people in the room is not supposed to be there; one of them killed Strelitzia and is an imposter. The popular theory is that Ventus is the one who killed her, especially since, if he was meant to be there, he wouldn’t seem like he hasn’t studied his own rulebook as much as he does. Now we’ll reach to the last point that we’ve yet to cover from the latest updates, which is a major one. The player character eventually reaches Sleeping Dominion—a world that was not accessible in the real world and thus is not part of the memories that you’re constantly reliving. Maleficent (the real one) mysteriously appears in another part of Sleeping Dominion, accomplishing her goal of figuring out how to enter the dream world—a goal she developed throughout Re: Coded. She’s here because Riku used the Keyblade of Heart to stab her in Kingdom Hearts. This gave her the ability to time travel because her heart and body were split (rule #1 of time travel). So, she time traveled to the past in order to try to rewrite history so she wasn’t defeated, to a point after the Keyblade War, and ended up in the data version of Enchanted Dominion that the new Foretellers created. She is unaware that it’s a data world until a shadowy figure calling himself “Darkness” points it out to her. He explains that the Master of Masters knew she was going to do this and prepared the data version of Enchanted Dominion to trap her in in advance. He does not want her in the real world since she possesses memories and knowledge of the future. “Darkness” then explains to her that she needs to return to her own time, so he sends her back. This is essentially why she is alive and well in Kingdom Hearts II even though she was killed in Kingdom Hearts. So, everything that has happened in this series has gone according to the Master of Masters’ plans. It has been confirmed that we won’t meet him in Kingdom Hearts III, so you might just have to wait until the next Kingdom Hearts game, whenever it’ll be released, and be satisfied with Union X’s content updates to know more. The time difference between when Japan gets an update and when the rest of the world gets the same update is 6 months; in other words, the most recent December 2018 update won’t reach the U.S version of Union X until June 2019. We strongly recommend keeping up with KHInsider’s translations, for the team works incredibly hard to provide translated content to fans on YouTube shortly after the Japanese app updates. Kingdom Hearts III will be released tomorrow on Playstation 4 and Xbox One. If you’re still interested in playing it after reading all this, well, bless your heart.